Description: FINALLY! A bigger frame .380 from Ruger. Still a perfect size for conceal carry, but big enough to get a whole hand on it. 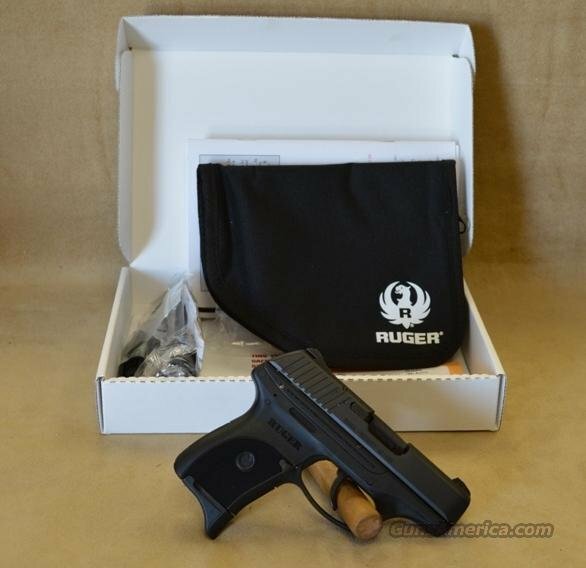 Built on the exact frame as the Ruger LC9, it is now offered in .380 Caliber. Ruger LC380 Semi-automatic .380 pistol. Factory New in Box. All Blue finish. Black Polymer Frame. Blue Steel Slide. Glass Filled Nylon Frame. Fixed 3-dot sights. 1 - 7+1 magazine with flat or pinky extender grip. 3.12" barrel. Office Hours: Monday through Friday 10am to 5.30pm CST. Emails and phone calls are only answered during those hours. Closed Saturday and Sunday.